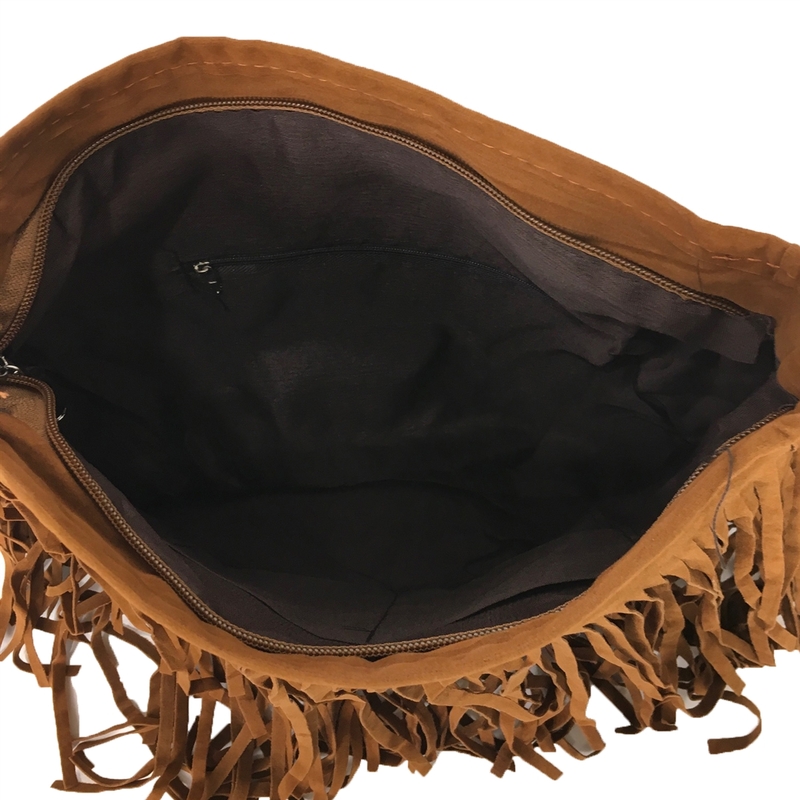 Fringe benefits! Add a 70's inspired bohemian charm to your everyday carryall. Swinging fringe and braided strap top off the cool, free-spirited look. 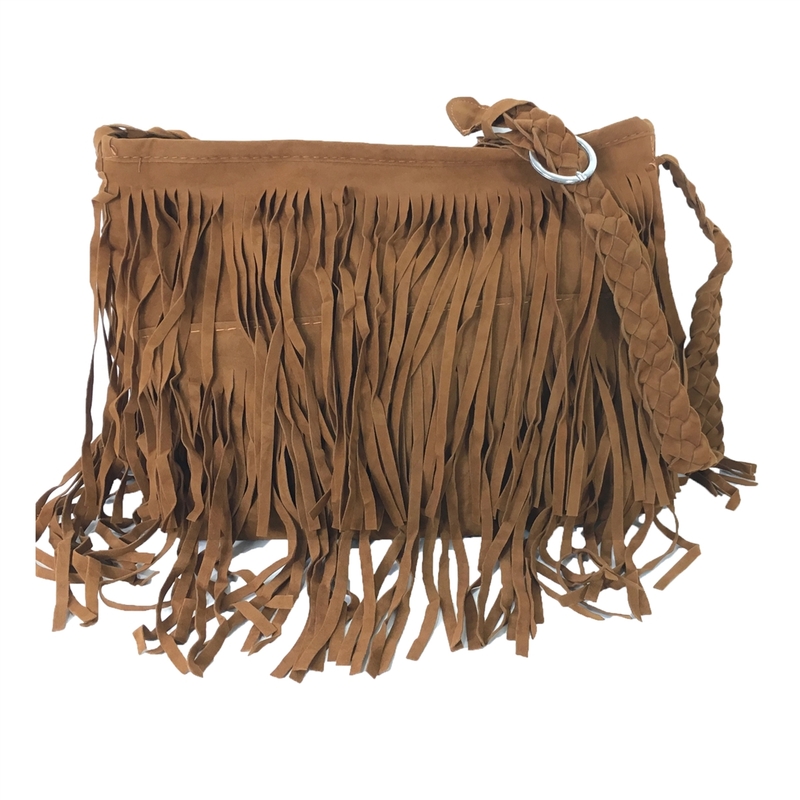 Crossbody bag crafted in synthetic vegan suede leather. 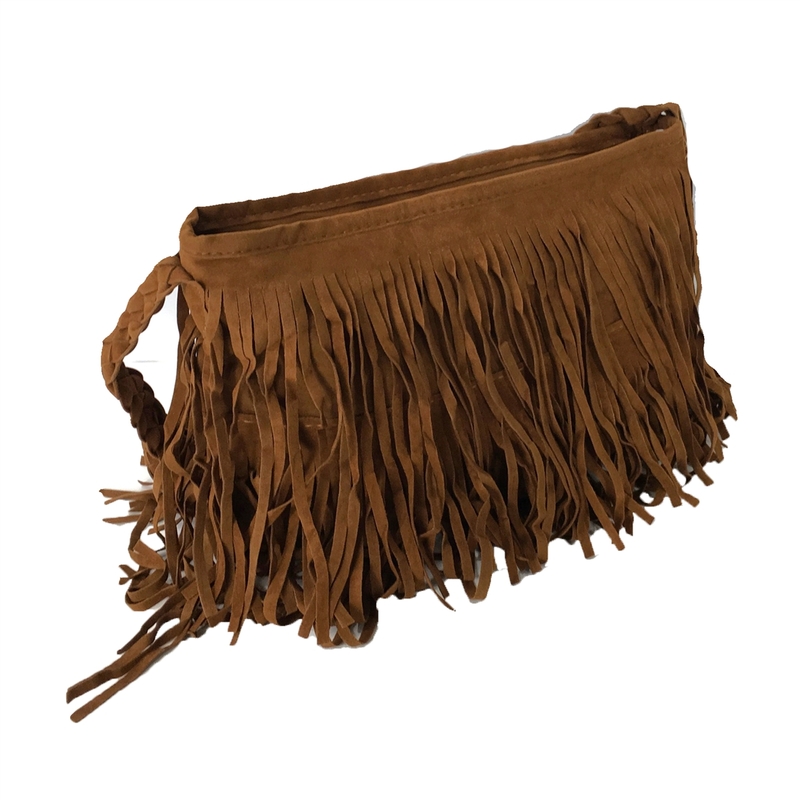 Features two rows of flowing fringe.